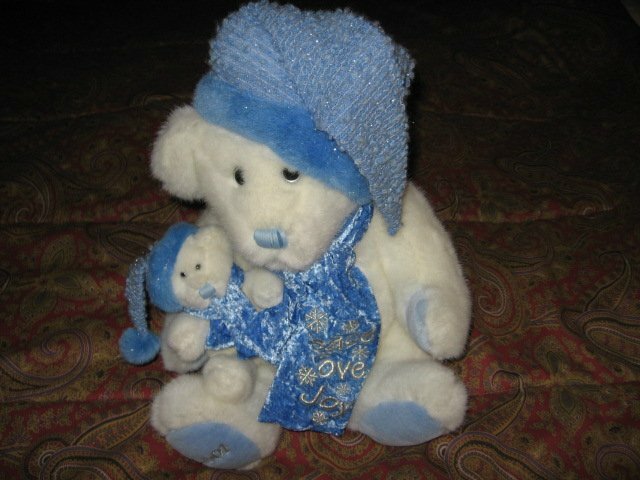 14 inch white bear with sparkly blue winter hats and scarf. 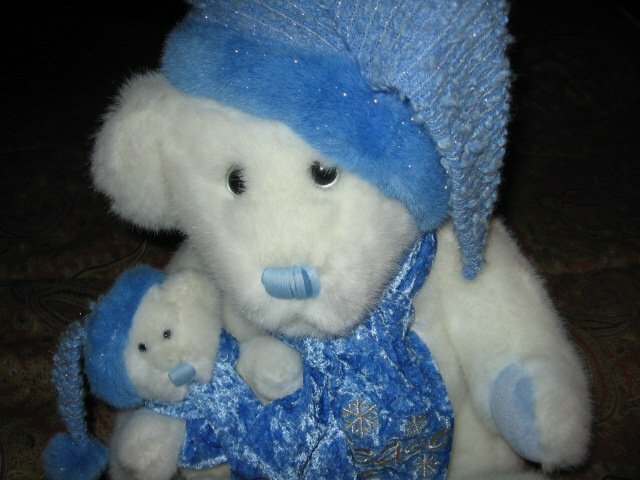 Very soft and cuddly. Like new.